Lunar New Year and Chinese New Year celebrations begin this weekend and airports and airlines are celebrating the Year of the Rooster with decorations, special meals, promotions and events. Vancouver International Airport, a major trans-Pacific hub, has special decorations in the terminals and a wide variety of events planned for this Friday, including a traditional Lion Dance, retail specials and an appearance by the Fortune God who will hand out red envelopes to lucky passengers who will have a chance to win prizes. At San Francisco International Airport, which boasts that it serves more cities in China than any other North American airport, look for special Lunar New Year graphics on signs, on the airport’s social media outlets and on its website. Austin-Bergstrom International Airport will celebrate the Lunar New Year on Friday, Jan. 27 with traditional and modern Chinese music from 1 to 3 p.m. at the Asleep at the Wheel stage, located across from Gate 10. Lunar New Year activities at Hong Kong International Airport include daily Lion Dance performances and multiple chances to meet and greet the God of Fortune. 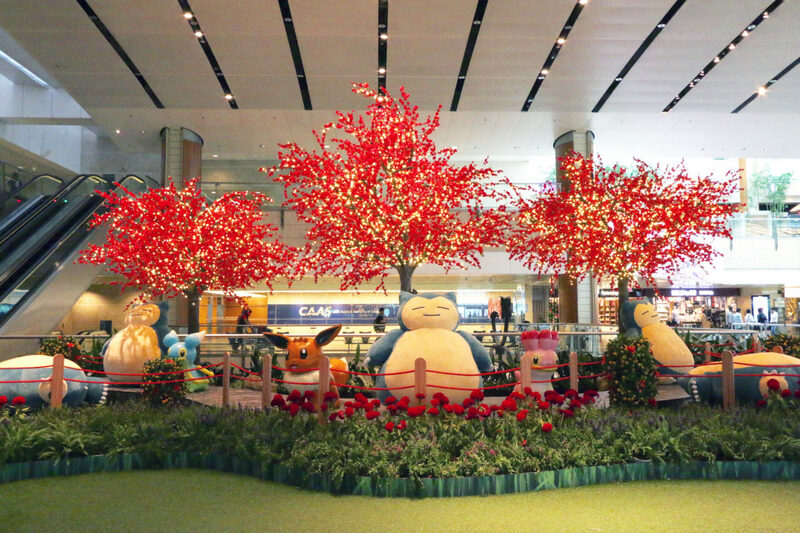 At Singapore’s Changi Airport, which does everything in a big way, the terminals are decorated with festive decorations and plants, the popular Pokémon installation has receive a seasonally-appropriate makeover, and there will be an award-winning Lion Dance troupe performing in the terminals on multiple days. The Fortune God Mascot will also be on hand distributing fortune cookies. To mark the Lunar New Year, Cathay Pacific will be serving two types of festive puddings (Red Dates Pudding and Turnip Pudding with Conpoy and Chinese ham) to travelers in first and business class cabins on many long haul flights. Qatar Airways is also celebrating the Chinese New Year by serving a special Spring Festival-inspired menu on board flights to popular Asia destinations from January 28-30. Deal-wise, United Airlines is offering promotional fares (through Feb 1) on its flights to Hangzhou, China from San Francisco and other cities and Plaza Premium Lounge is running a Chinese New Year ‘Buy 3 Get 2 Free’ offer on lounge gift cards that is valid through February 6. And Eva Air is celebrating the year of the Rooster with a special Chinese New Year menu on flights outbound from Taipei to North America and Paris on January 27, 2017 and special Chinese New Year-themed service items on these same flights from January 27 to February 5, 2017. Many service items on Eva Air’s Hello Kitty Jets have also been refreshed for the Chinese New Year, and some new characters – Gudetama and Bad Badtz-maru are featured on the themed paper napkins, headrest covers and the traditional red envelopes handed out to family members and loved ones to wish them health and prosperity this time of year.